As a visitor in a foreign country, it’s important to understand the religious norms of the host society. 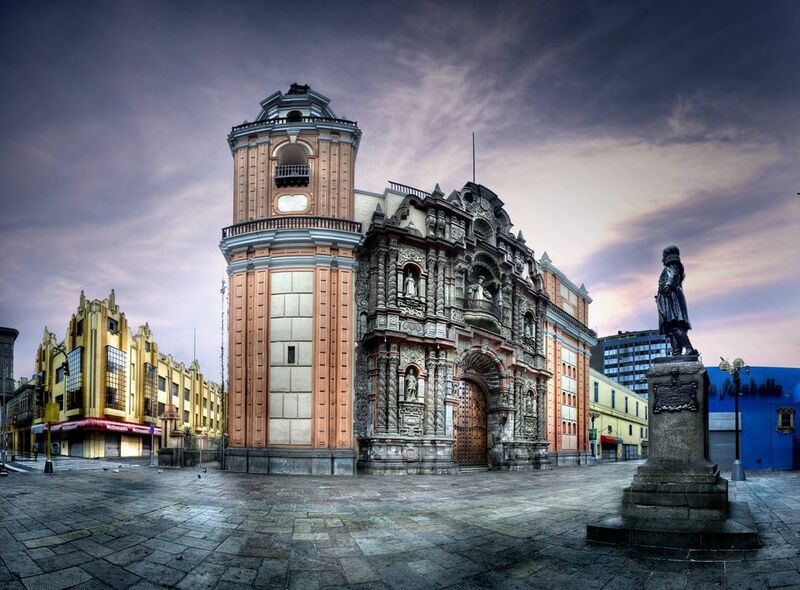 Peruvians, in general, are quite tolerant when it comes to religion, perhaps in part due to the country’s history. Precolonial religious traditions and beliefs. primarily those of the Incas, are still acknowledged and respected...if not widely practiced. The Inca gods are still known by many Peruvians, but their place in the nation’s religious outlook has been replaced by Catholicism. Only Catholicism is directly mentioned in the Peruvian Constitution of 1993, but alternative beliefs and religious freedom are recognized. According to Article 50 of the Constitution, the following is true. “Within an independent and autonomous system, the government recognizes the Catholic Church as an important element in the historical, cultural, and moral formation of Peru and lends it its cooperation. Catholicism is clearly the dominant religion, despite a 7.7% decrease since the former census of 1993. Interestingly, Catholicism is more dominant in urban areas (82%) than in rural areas (77.9%). In rural Peru, evangelical and non-evangelical Christians are more common (15.9% compared with 11.5% in urban areas). Evangelical Christians include Lutherans, Calvinists, Baptists and The Evangelical Church of Peru. Non-evangelical Christians include Mormons, Seventh-Day Adventists, and Jehovah's Witnesses. In total, Evangelicalism increased by 5.7% between 1993 and 2007. According to The Church of Jesus Christ of Latter-day Saints Newsroom website (December 2011), LDS church membership in Peru totals 508,812. Other religions in Peru stem primarily from immigrant communities that have arrived in the country over the last few hundred years (mainly since the 1800s). The 3.3% of “other” religions includes Jews, Muslims, Buddhists, Hindus, and Shintoists. Agnostics, atheists and those with no religious affiliation account for almost 3% of the Peruvian population. In terms of Peru’s administrative regions, the highest concentration of those with no affiliation occurs in the jungle departments to the east of the Andes (San Martin 8.5%; Ucayali 6.7%; Amazonas 6.5% and Madre de Dios 4.4%). Catholicism came to Peru in the 1500s with the arrival of the Spanish Conquistadors. The relentless conquest of the Inca Empire and the drive to spread Catholicism throughout the New World threatened the very existence of the Incas and their religious beliefs. Despite the rapid fall of the Inca Empire, the Inca gods, their apu mountain spirits and the traditional rites and beliefs of Inca society did not fade from the national psyche. Modern Peru is still home to pre-Columbian traditions, albeit often merged with the dominant Catholic faith. Catholicism in Peru is imbued with imagery and ritual elements dating back to before the Spanish Conquest, all of which can still be seen in the many religious festivals that take place across Peru throughout the year. There are no significant religious taboos that travelers should be aware of before going to Peru. In general, Peruvians are happy to accept the religious beliefs of others, as well as agnostic and atheistic points of view. Of course, there are times when religion, like politics, should be avoided or treated cautiously as a topic of conversation. It’s up to you whether you want to broach the subject. As long as you don’t insult someone else’s faith, you should be able to have a civilized conversation. Other religious considerations are fairly standard, including the etiquette for visiting churches and cathedrals in Peru. You should always treat religious buildings, icons, and other items pertaining to faith with great respect. If you enter a church, for example, you should take off your hat. If you want to take photos inside a church or cathedral, make sure photography is permitted and be careful with your flash (churches are built for the faithful, not for tourists).